​This month’s featured object is the apple. In the United States, apples are special symbols that are associated with teachers, sometimes bestowed as a special honor, sometimes given as a gift. Teachers and schools may win state and national awards that are named “Golden Apple” or “Crystal Apple.” Teachers receive many gifts from students and their families that are in the shape of an apple or are decorated with an apple. At the end of a career in teaching, a person often ends up with a collection of apple keepsakes—notecards, key chains, paperweights, notepads, pens, vases, picture frames, pencil holders, necklaces, bookends, coffee cups . . . and more. A is for Apple! Apple is for knowledge! The exact origins of presenting a teacher with an apple may never be pinpointed, but a few ideas may help explain origins of the practice. From the hills of Kazakhstan, where the bitter ancestor of today’s apple was born, to the sweeter version consumed today, the apple has been an ancient symbol of love and knowledge as well as health and goodness. In 18th century Denmark and Sweden, students gave their teachers both apples and potatoes along with other foods provided as payment for the teacher’s services. Apples for teachers grew in popularity during the end of the 19th century in the United States as John Chapman (Johnny Appleseed) helped spread apple trees across the expanding country. Grown in every state in America, and harvested near the first days of a school year, an apple could easily be given, along with other provisions, to teachers who depended on both salary and living supplies in the rural schoolhouse. Until public education was paid for by the government in 1913, households were responsible for school fees. Later, in the 1930s, the Bing Crosby recording of An Apple for the Teacher became a hit and helped popularize the idea of gifting apples as the thing to do. ​These photos show two apple-related objects that were donated to our collection. 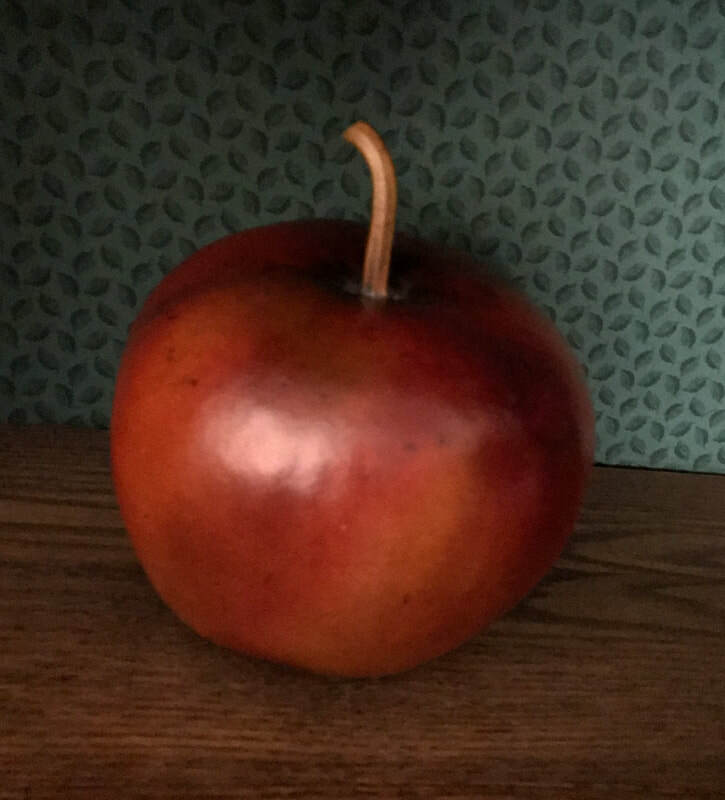 ​​The first one shown is a large (12-inch high) hollow polymer clay apple that was provided by MOTAL founder Greta Nagel from her personal apple collection. The second object is a photo of ripe apples in a wooden crate that was a gift from Judy Goffin, public relations expert/photographer. Copyright © 2011–2019 Museum of Teaching and Learning.